Bright representative of Soviet art, member of the USSR Union of Artists since 1982, Valery Habarov is a silver medalist of the USSR Academy of Arts (1977 and 1982), and winner of the Prize of Lenin Komsomol (1977). Valery was born on August 4, 1944 in Michurinsk. 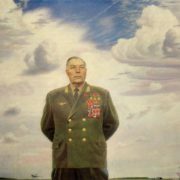 While his mother Zinaida Dmitrievna comprehended the profession of medical assistant-obstetrician, the Great Patriotic War began. So, she went to front and worked in a field hospital. Fortunately, she stayed alive, but at war she lost her husband, father of Valery, when he was still a baby. Meanwhile, for some time grandparents looked after the boy. But after the war ended, his mother and stepfather took the boy with them. Fortunately, the boy grew up in a creative family, where his parents loved him and tried to develop his creative abilities. And very soon they noticed his incredible interest in drawing. The talented boy immediately joined the art club at the House of Pioneers (now – the Children’s Art Centre). 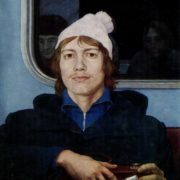 Fortunately, his teacher, Soviet artist A. Platitsin saw a great talent in the boy. 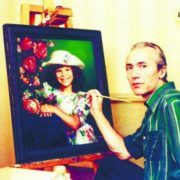 In 1958, 14 year-old Valery, thanks to Arkady Platitsin and according to his recommendation, entered the Ryazan Art School. 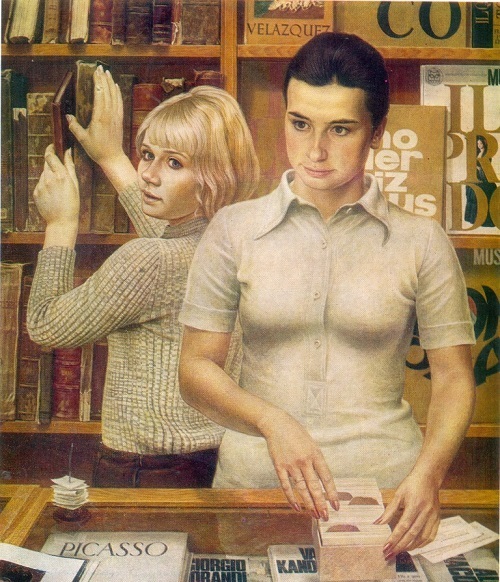 After graduating in 1973, Habarov began training at the Academy of Arts. Creating his first works, the artist used tempera and gesso. 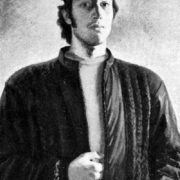 After completing the educational activities and successfully defended a thesis, Khabarov began to actively draw portraits. 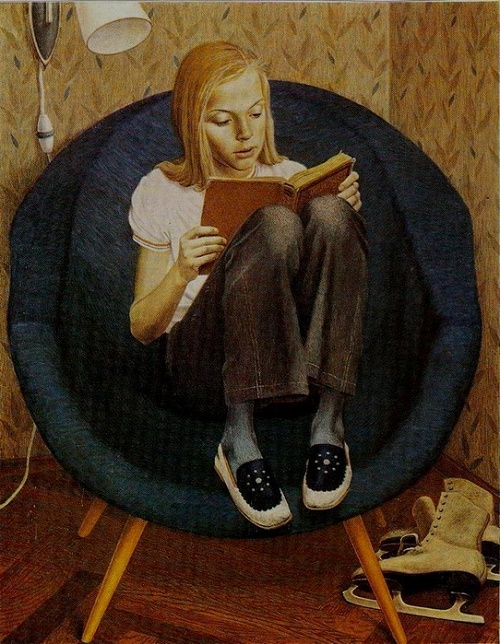 Probably the most significant and important work of his life, is the “Portrait of a Girl in a chair” (1970). The girl’s name is Mila Holdevich. 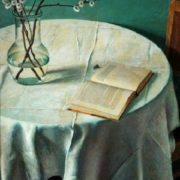 However, not only this painting attracts many collectors who wish to purchase for their collection significant paintings belonging to the great painter, but many other of his works. 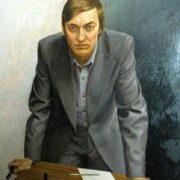 In particular, “Antique”, “Portrait of K. Shatov, chief curator of Borodino”, “Portrait of Soviet chess player Karpov”, and “Portrait of AK Guryanov” (2006). 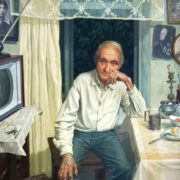 In these paintings he showed himself not only as a man who knows how to harmoniously combine the talent of the artist and portrait painter, but also as a subtle psychologist, and a thinker. In addition, noteworthy is his icon painting for Elias Church in Michurinsk. 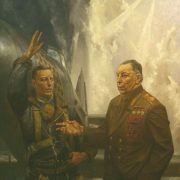 Undoubtedly, Habarov is a painter of world fame. He has participated in national and international art exhibitions organized in Germany, Italy, France, USA and other countries.